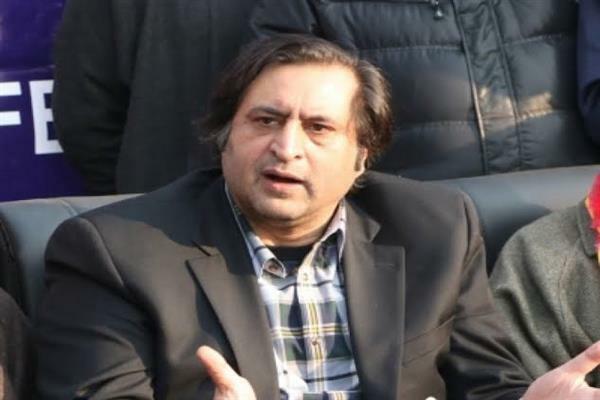 Srinagar: Peoples Conference (PC) chief Sajad Gani Lone expressed his happiness and welcomed Hurriyat Conference (M) Chairman Mirwaiz Umar Farooq back home, after three day grilling by National Investigation Agency in Delhi. In a tweet, Sajad said “Happy to c @MirwaizKashmir back in Srinagar. A gruelling ordeal for someone as gentle as the Mirwaiz Umar Sahib. Irrespective of political differences he is a religious head and a uniting force for Muslims in Kashmir. I hope Delhi understands the reverence that he commands,” Lone wrote on twitter.